« Colt Raines – Relentless Pursuer Western Series Moving Up The Charts! “Six Bullets To Sundown: Volume 14” Coming Soon To A Kindle Near You! Well, it’s that time again! 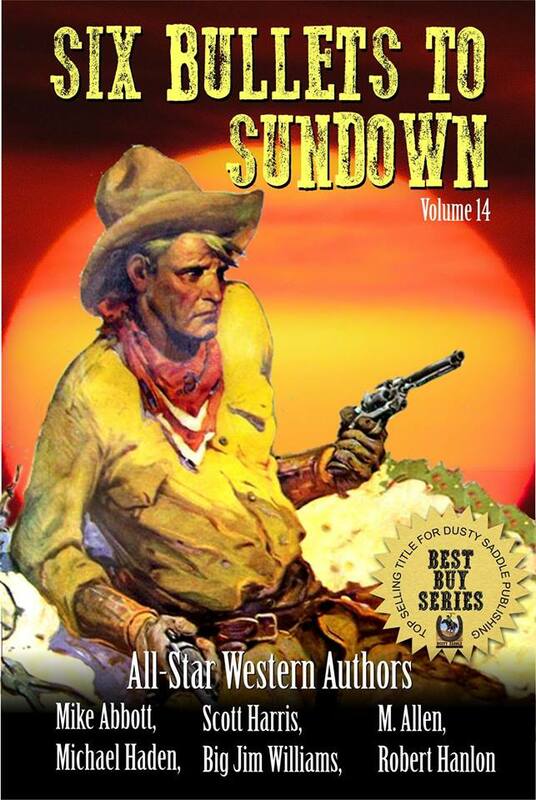 A brand new volume of “Six Bullets to Sundown” will be heading out shortly. Brand new stories from Scott Harris, Michael Haden, Michael D. Abbott, ‘Big’ Jim Williams, M. Allen and Robert Hanlon. Each one circled with gold. Each one could have been a success on it’s own. The best of the best collected together for the greatest readers in the world– Western fans!